Released by Tresor Records, a division of Interfisch Records. Track 8 is just called "I Will Lead" with no reference that this is the Hollway & Eastwick Remix. Track-durations not listed on the release. I think this is a very good home listening CD indeed and really is something to own. Very well crafted, super stylish with a lot of soul and totally flowless to say the least. I will keep this one forever. One of my very best minimal mixes alongside with Josh Wink's Ministry Of Sound Sessions double pack which is two timeless master mixes also. 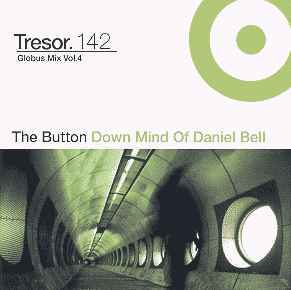 I remember when I picked this up the summer it was released, I was completely blown away by the expert combination of minimal house and techno grooves in the hands of Dan Bell. It suddenly didn't matter if it was either genre; the mix simply *flowed. * The emphasis was on the mood, which echoed of melancholy and longing, but was anchored by langorous rhythms. The track selection on here is fantastic, touching on everything from Jan Jelinek (as Farben), Cari Lekebusch and Alexi Delano (Mr. James Barth and AD), and even Thomas Brinkmann's surprising "Karin." Excellent, if not timeless. Not bad- could be so much better I think, but..
Really like the Problem kids track- I think the mix really starts there. The mix of his Beyond And Back and Die Sterne is amazing though- I could listen to it for hours...perfect. Really like Vybe as a choice and then especially the Cari Lekebusch track- fantastic. A very enjoyable mix for sure but would not as many others call it top notch. As a Dj, I reserve 5 for Derrick Carter or Claude Young's best mixes! 2018 Update of my 2003 comment: The early part of the mix has grown on me! All-around great, and memorable.